Well, the Rick Warren controversy sure got heated. Let me be the first to say that I’m especially pleased Pastor Rick apologized in public. It’s good to see that we’re all flawed human beings, me included. One question in the guise of a statement is, “You must love all the attention you’re getting.” Some said it to me with care, others with suspicion and a few with venomous hatred. It’s a worthy thought to ponder. This would be a great place to reintroduce myself to some people who do not know me before the controversy. This may be a good place to clarify a few points. First of all, I don’t blog for a living. I’m not getting paid for it by some sponsor. I actually enjoy writing about all sorts of things, things I see that are right and wrong about the church, the Bible and the Christian life. I’m not particularly great at it, but I’m learning. I make a living teaching, preaching, speaking and writing freelance. I rather enjoy the freedom than a high salary that confines me to a set schedule. That was my previous life. When I first wrote the piece, I wrote it out of gut instincts from seeing what was going on in Pastor Rick’s Facebook. I never think, “Hmmmm … let me write about this so that I can use Pastor Rick’s fame to boost my blog.” The fact is, I write for a very small percentage of a population that actually cares about the issues I care about. I’m quite sure that the readership would once again go back to normal once this thing blows over. I accept that. Second, not everyone enjoys getting sudden publicity. I actually know something about publicity because when I was in Hong Kong, I would have strangers on the street asking me for my autograph and reporters from the paper sitting in my office waiting for me. You see? I wrote a lot of books in Chinese. In fact, perhaps I wrote too much. Thus, in Asia, my privacy was not as easy to come by. So, coming back to the US has been a good thing for me and my family. The last thing I seek is publicity. What I wrote hit a nerve. I didn’t look for that nerve, but I nailed it while groping in the dark. In fact, I’m not even an expert on racial relations. If anyone wants to talk about experts on race, they can look more to the works of Chinglican, Eugene Cho, and Soong Chan Rah as well as others. Kathy Khang whose coauthored book More than Serving Tea (a book with rave reviews) and who also featured in this interview with Rachel Held Evans also can speak to the Asian American woman’s perspective far more than I can on the whole race issue. I’m just a participant in a minority subgroup, going along for the ride. My PhD is on the Bible, not religion or racial relations. My story is my story. It may not be anyone else’s story. Asking someone that question about attention is like asking whether a Jewish holocaust survivor was seeking attention when he addressed an inappropriate use of metaphor based on Nazi youths. No, we aren’t seeking attention; we’re all just storytellers. I pretty much agree with my buddy Justin Tse here as well. If our stories got your attention, so be it. If you don’t like our stories, well, go read other stories you like. It just happens that our stories resonated with many, and we praise God for that. Furthermore, who enjoys getting comments in blog posts (some of which I left on for your amusement) questioning our salvation, accusing us of throwing stones, exhorting us to get over ourselves and telling us to stop eating dogs and cats? Yes, I get a load of hate mails daily, and I accept that as part of being a blogger. Just because I expected them doesn’t mean I enjoy them (especially from so-called Christians), unless I’m somehow morbidly in love with mental pain. I may just disable the comment section not because I don’t think a lot of the comments are valuable. Many are; even some of the well-meaning and informative negative posts taught me something. Far too many were extremely nasty posts. IF I disable “comments,” it is not because I can’t tolerate dissenting voices. People know where to find me to contact me. IF not, they can go to my web page and email me direct. Now let me tell you what I love. I love my wife first and foremost, and I love my family. I love staring into my backyard and hearing birds chirping and rabbits running around without sounds of cars. I love traveling and meeting my readers and listeners who engage with me (whether they agree with me or not doesn’t matter). I love honest friendship from people whom I’ve never met through this unfortunate incident. I felt like I found this huge family (from all different races, nationalities, religions and cultural backgrounds) I didn’t know I had. I love hearing from old friends who crawl out of the woodworks lending their support and shoulders. I love serving God (yes, I’m kind of religious) and reading my Bible. So, for those who are worried about whether I’ve been born again, worry no more. I love seeing people’s lives change for the better because of their faith. 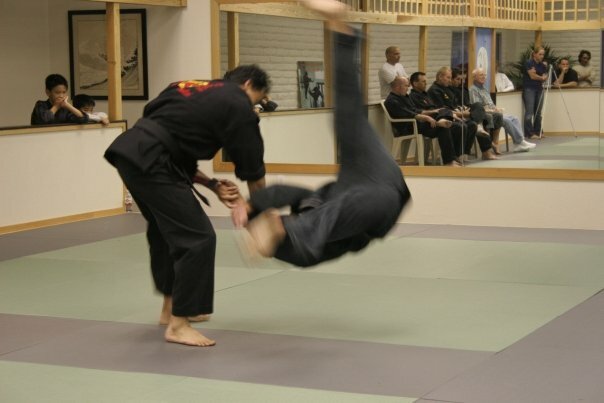 I love training everyday in my home gym, lifting, hitting the Thai bag, and double-ended bag (that’s me above in the photo; that’s what I love). I love playing soccer once or twice a week with my buddies who’re from a diverse racial and religious background. In short, my answer to the statement in guise of a question is no. I love many things, but attention is not one of them, but I continue to write. Why do I even continue to write? Ask any writer that question, and you’ll find that the common denominator is not fame or money. My PhD supervisor told me once that anyone who thinks he can make a great living writing at the start is a fool. I pretty much agree. I write because I feel like that’s my calling in addition to preaching and teaching. That’s what I do. I love it when people pick up my book Right Texts, Wrong Meanings, and learn something from the method I use in reading the Bible. I love it when I get a light bulb during writing, and my readers share that lightbulb with me. That’s why I write. Writers write because that’s their lives. Writing is my life. Thank you for reading, my readers. God bless! 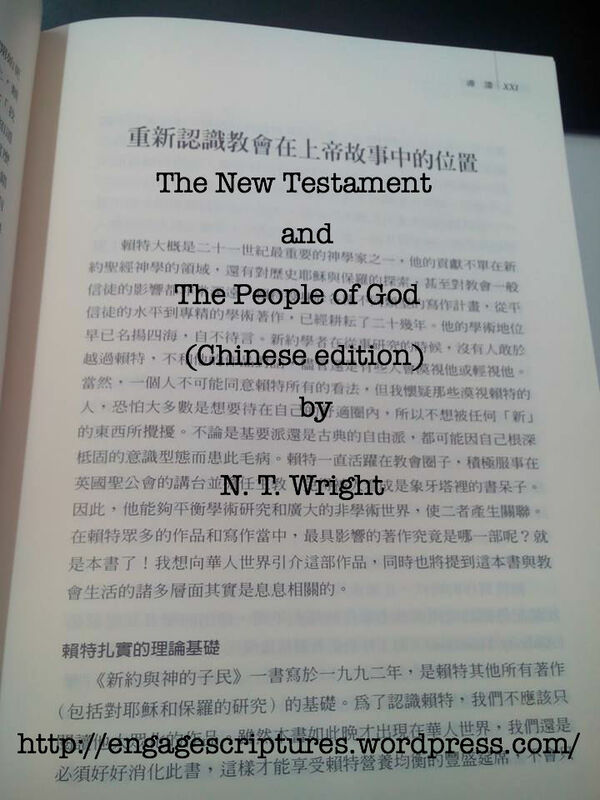 N. T. Wright has arrived quite late on the scene in the Chinese Church, but it’s certainly better for him to be late than never. In reality, he is still not always widely read (though widely denounced by the Neo-Puritan/Neo-Reformed folks) in the evangelical church, and if he’s read, not many have reflected on the implications of his work. The above photo is a foreword introduction I wrote for him in Chinese. Below is the English version of it. For some of my English non-academic readers who are still unfamiliar with him, I hope this somehow introduces him in a fair and helpful way. Like him or not, he’s here to stay. You may as well think about how his writing implicates how the church should behave and how people should view Christianity. For my Chinese readers, you can order this book from Get it here http://www.vwlink.net/product.php?pkey=1831 or here https://Shop.Campus.Org.Tw/ReadingBanquet/13.9-10/New.htm Here’s my English version of the intro foreword. I wrote this in January while book touring Taiwan for my publisher. Enjoy! N. T. Wright is arguably the most significant theologian so far in the 21st century, not only in terms of biblical theology of the New Testament but also in terms of popular influence in the global church as well as the historical quest for Jesus and Paul. Wright has been working on his various projects from the popular level to highly academic monographs for more than two decades. His legendary scholarship has already been taken for granted in the West. No scholars of the NT dares to research without interacting with Wright’s work, though some have tried to ignore or belittle him in their writings. I suspect, whether everyone agrees with Wright on everything or not, most who try to ignore Wright are afraid of having their comfortable little box disturbed by something “new.” Fundamentalism and classical liberalism can both suffer the same way because of its entrenched ideological agenda. Lest anyone thinks that he is some kind of ivory tower egg head, Wright has always been an active churchman, serving both in the pulpit and the bishop office in England. Therefore, he balances his academics with relevance to the wider non-academic world. What is the most influential work in Wright’s own writings? This work is it! I shall introduce this work to the Chinese-speaking world while commenting on its relevance to many aspects of the church life. Written first in 1992, NTPG is the foundational work to all of Wright’s other work, both for Jesus and for Paul. In order to understand Wright, we should not merely look at his popular works. Even though this book arrives late in the Chinese-speaking world, it must be digested so that we do not merely grasp bits and pieces from Wright’s banquet table but also consume a proper nutritional meal. Many misunderstandings in the Chinese world regarding Wright is due to a lack of understanding (or effort to understand) his theoretical/theological foundation. Those Wright-critics are behind more than two decades when they have not digested, understood and reflected on this work as they went on their polemical rampage. As a result, much of their ranting is unfounded, misguided, misleading, and misinformed. By taking seriously this more influential work, we meet the complete Wright without using bits of his work to bolster parts of our agenda. This book is a tour de force of scholarship that stormed onto the scene, after historical criticism has been deemed by some to be passé and close reading of the NT has been denounced to be ahistorical. Wright found the balance for both. More importantly, Wright’s work implicates the way biblical theology is done and in the way biblical theology can influence systematic theology. His biblical theology creates a metanarrative that appropriates both Old and New Testaments in their proper places for NT interpretation. His has been such an admirable task that even though he did not set out to do a full biblical theology, I know colleagues have used this creative work as one sample of how solid biblical theology can impact exegesis and hermeneutics. His narrative approach tells the story the way drama of God’s salvation plays out. The drama metaphor is well-used by systematic theologians today, but even back in the day when this drama idea was not yet popular, Wright was already exploring and breaking ground. The context of Wright’s writing is the popularization of postmodernism in biblical scholarship. I recall, as a fresh grad and young minister, armed with my two masters in those days, that great scholars like Anthony Thistleton wrote great volumes to combat, interact and integrate postmodernism into interpretation of the biblical text. Wright’s storms took hold of the academic world with something a bit new for biblical theology: critical realism. This paradigm avoids the pitfall of modernism that falsely declares positivistic objectivity. The declaration for certainty, of course, had its detractors in those days among postmodernists who point out the obvious fact that humans cannot know everything for certain. In some instances, certainty is impossible. Particularly useful is his theoretical foundation and plea for critical realism. Wright steers a middle way against the optimism of modernism and pessimism of postmodernism. Critical realism, per Wright’s definition, “is a way of describing the process of knowing.” While interpreters cannot gain absolute certainty, relative certainty is possible (including the elusive “author’s intention”). Such knowledge comes from the conversation (i.e. critical analysis) between the observer and the object. The feedback loop comes from a taking this conversation from different perspectives to view an object holistically. This knowledge is within but never “completely” in the grasp of the seeker. This process then is a continue spiral in search for truth. How does Wright lead the reader on the search for this truth? He does so by story, by a narrative approach to biblical theology. In so doing, Wright avoids, as much as he can, an overly propositional format of doing biblical theology. In order to build his foundation, Wright works from many sources to recreate the worldview of those first-century people. His resulting picture is a rich jigsaw puzzle that includes many pieces instead of insisting on one strand of thought. This narrative method was an innovation during a period when everyone was just beginning to debate whether narrative theology was possible. Wright just went ahead and did it here. This story becomes the control over the entire biblical theology enterprise. Wright’s sketch starts by talking about worldview. The “Christian” (versus other) worldview needs to be articulated when creating this necessary narrative. Wright rejects atheistic worldview on the one hand and deistic worldview on the other. This step is important before forming the narrative. With all such worldviews in place, Wright’s narrative enterprise ambitiously combines literary, historical and theological study of the NT. Wright analogizes this narrative as a drama of five acts: creation, fall, Israel, Jesus and the NT as the first part of the fifth act. Wright tells the story by setting Judaism within the Greco-Roman world, using not only Jewish sources like Josephus but also Roman sources like Suetonius. This move is important to trace how early Christianity evolved from post-exile Judaism. Rather than painting the Jewish world as some harmonious ideal, Wright shows a diverse Judaism with different factions living in tension with one another. Within the Chinese world, this aspect is not often noted in second temple studies. At times, the power struggle between the factions could be quite fierce. At the same time, their religion often brought them into conflict with the Romans. This picture was not the familiar happy-go-lucky world often preached out of the average Sunday morning worship. This was the unstable and unhappy situation that eventually led to the Jewish revolt of 70 AD. Was there a baseline belief among the Jews? Of course there was. They worshipped the one true God in the temple. This God had called them to separate from gentiles and to live in the promise of Abraham. There was a point to this story linked with Abraham though. Somehow God would allow history to progress to a climax with the restoration of Israel. There was hope! In light of the need to keep separated from gentiles, the Jews centered their rituals on the temple institution and thought of God’s kingdom in terms of land. Whatever their power structure was, the Jews interpreted the Torah and lived according to their interpretation. Built upon the above narrative was the Christian narrative, according to Wright. This picture, unlike the usual re-creation of dichotomy between Judaism and Christianity, keeps the church firmly with Israel’s salvation history. Reconstruction of the narrative shows many parallel points between NT narratives and other Jewish stories. Wright’s story moves from Jesus to Paul. At the time this work was written, scholars tended to move from Paul to the Gospels based on an early dating of Paul’s letters. Wright’s move is bold in that he takes the historical Jesus very seriously within the Gospel record. This move also looks familiar in the work of James Dunn where he places Jesus’ spiritual experience as something that relates to the early church. Wright’s move is different from Dunn’s in that he does not try to bring some kind of “spiritual experience” but looks clearly at the narrative shape of the Gospel without favoring one or another theme. His move is respectful of the canon’s shape without sacrificing either historical critical concerns or narrative shape of each element. This is not easily accomplished. The result is a story that moves from sin to salvation, creation to new creation, and alienation to hope. By merging Judaism and Christianity at its various points, Wright tells of the birth of Christianity in terms of a rebirth of Judaism with Jesus as the central messianic figure. At the end, the story is not merely Christocentric but theocentric. At the beginning, I have addressed the contribution of Wright to all sorts of theological endeavors. I will owe my reader a great debt if I do not finish by pointing out the relevance of his work to the present reality of the Chinese church. To many less reflective readers, Wright’s work seems to be “out there” and “back then” about some historical faraway places, but reality is more complicated. The very approach of story has complemented the more traditional way of working everything theological within propositions. Now, stories have elements of propositions. Everything has an element of proposition (i.e. “the sky is clear today”). However, Wright shows that having an overall framework helps work out otherwise inaccessible details. Yet, the cycle that starts the narrative needs to be informed by immense historical data that come from serious research on Second Temple Period. While creation of propositions is easy and abstract, portrait of a narrative is difficult and concrete. What will be the result of any such efforts? Between certainty and skepticism, Wright steers his readers into a critical realism that transcends both. Modernism has steered the Chinese church towards a search for and declaration of absolute certainty. In fact, people feel uncomfortable about either asking or being asked questions. Many seek black and white answers, and why not? During the earlier missionary movement that ultimately created the modern Chinese church, western missionaries, in their noble intentions, brought over the struggle in the west against secular modernism. A polemical community of faith using modernistic means against modernism has formed, buying into the fundamentalist paradigm of those missionaries, line, hook and sinker. This same community has grown into the Chinese church today, still working within the modernist paradigm of false dichotomy between objective and subjective. Wright’s method allows for many shades of gray without ever endangering the historical orthodoxy of wider Christianity. Wright has done us a big favor pastorally and intellectually. From a spiritual formation perspective, both certainty and skepticism war against faith. Faith is something quite different. Moving away from certainty, faith moves the believer towards reliance of God. Moving away from skepticism, faith moves the believer towards a faithful search for God. When reading Wright’s tome, many readers who are used to reading propositional theology can feel overwhelmed by the method. Let me remind the readers that we often use stories to share the gospel, either Jesus’ story or our story. The story of the fall is often somewhere in the popular presentation of the gospel along with God’s salvation. Wright’s is a sophisticated expansion of such a plot. More important than the similarity between Wright’s story world and ours is the implication of Christianity ethics. What Christian ethics can come out of this narrative? The book’s name is The NT and the People of God. The narrative is the foundation that defines who we are as Christians. Everything we do flows out of this foundation. Our identity in this world should be the embodiment of this narrative. Many have not considered what Wright has written seriously. If God’s story through creation, fall, Israel and Christ is our story, then the world should be able to see this story reenacted in different forms throughout our lives. One question that still plagues me is whether the church is visible in the world, especially the Chinese church, and when it is visible, is the visibility a good witness that leads to conversion of those who originally were not in God’s narrative? These are important issues to address. By knowing how God carried out his plan, we acquire our identity. Thus, this work has important pastoral implications. I highly recommend it as a most important contribution both academically and pastorally. I strongly urge all readers of sophisticated theological books read this book reflectively and prayerfully. It will reap a harvest that is long overdue. PS. I believe the above essay is equally applicable to most Pan-Asian churches I have encountered. It also applies to some non-Asian American churches. The problem is not limited to the Chinese church. I addressed the Chinese church only because I was writing this foreword for the Chinese edition of this magnum opus. If you don’t believe me, just ask your average pew sitter and even many pastors who N. T. Wright is or when the last time they have read Wright’s work with serious theological reflection. I’ll be proven right once again. Over one Christmas stay in LA, I was conversing with a Christian who exclaimed to me in utter disgust, “Can you believe Urbana got Bono from U2? Bono!??! !” I have to admit, as a knee jerk reaction, I was a little freaked out by her disdain for Bono. I happen to like U2. My wife LOVES U2 (no, she doesn’t love ‘you too’; she loves the band). Upon deeper meditation on the topic, I have come to my own conclusion. What you say about Bono says more about your Christianity than Bono. Hear me out. I recall watching Rattle and Hum years ago, a documentary of a U2 tour. With musical movies like that, you’ve got to see it on big screen. Nothing less will do. 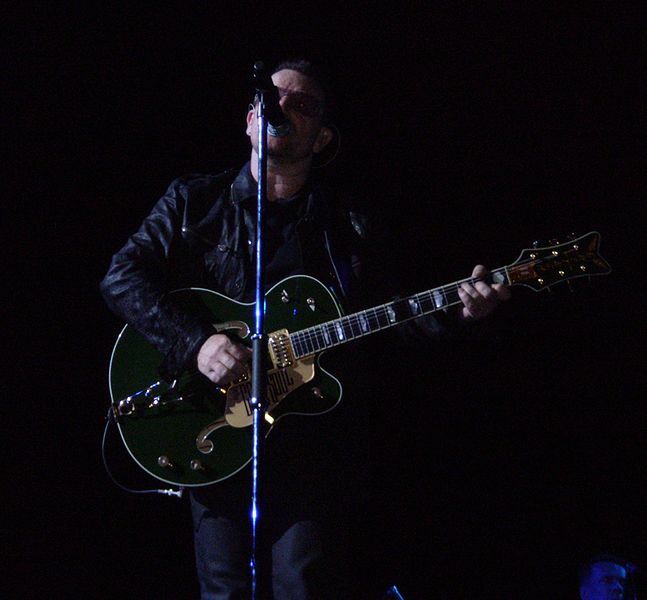 I recall hearing the mesmerizing and “edgy” (no pun) guitar work with Bono’s aggressive lyrics. I recall being completely captured by the U2 spiritual “Love Rescued Me” or by the soulful B. B. King as he celebrated Christ in “When Love Comes to Town” or haunted by the creepy “Helter Skelter” and “All Alone in the Watchtower.” It’s all good. One particular moment touched me deeply during a rendition of “Silver and Gold” when I heard Bono zealously shouted, “F… apartheid.” I hate to say it, but my heart thundered, “Hell, yeah!” So, like the naïve idealist that I was (still am), I went back and shared that touching moment with some of my Baptist friends in the Baptist church I was going to at the time (no offense against Baptists, but do please keep the fan mail to yourselves, OK?). The typical response they gave me was (get this! ), “Bono said the F-word?” I couldn’t believe it. Black people were being oppressed for the color of their skin, and all these believers cared about was Bono’s F-word? Their response sums up for me the typical mainstream evangelical (especially Chinese) Christianity that has no understanding of biblical ethical priorities. In that encounter with such “pious” people, I had arrived in the religious twilight zone. In retrospect, I was surprised no one answered, “But Bono plays rock and roll, the devil’s music.” From the shocked look in their eyes, maybe someone was thinking that, but knew better than to spout it out in front of fiery Dr. Sam. This is the same Chinese church that was afraid that the Laotians and Vietnamese would take over their congregation while they were nestled comfortably in the middle of Little Saigon in Orange County. Surprised? Now you may not always agree with all of Bono’s politics or even any of his theology. I certainly do not, but I did feel passionate enough to echo his sentiment (maybe not in quite such colorful words). I totally agree with Bono’s heart for the poor. In response to those Baptist friends, I sometimes wonder which Bible they have been reading. I can imagine the fiery “Saint” Paul rattling and humming off a few colorful words himself when writing his letters. Try Phil. 3.8 for the “S- word” in Greek. I kid you not. Maybe I should write a book on cuss words in the Bible because there’re not a few, and I bet you it will sell. Then, I can retire. Don’t worry. I won’t do it because I don’t want to retire that early, and you can’t get rid of me so easily. Lest you think this is a yet another off-the-wall rant from the crazy professor, you ought to try looking in the Greek and Hebrew. No telling what side benefits you may derive from reading God’s word in the original language. Maybe that’s why some of my students are afraid to take the languages. They’re afraid of the “cussing Holy Bible.” To add to Eccl. 3.1-8, maybe there’s a place in there for “a time to cuss.” Now I’m really kidding (or am I?). In all seriousness, Bono’s concern for social justice is the heart of the Bible. If we compare the command not to use foul language (strictly speaking, one verse James 3.10) to condemnation of God and Jesus against those who oppress the poor, those who are prideful, those who use politics in God’s kingdom for their own power and gain, those who live hypocritically, those who ignore the needs of others for their own greed, and those who commit sin against their neighbors, the F-word is the least of our problems. How many have been prideful this week? How many have not given to God His share of time, talents and treasures? Yet, many take the dominant ethics of the Bible with such a flippant attitude, while making a mountain of Christian ethics from a mole hill of verses. Bono’s prophetic cry, though laced with the F-word, is often more biblical than many feeble attempts at the pulpit across our nation every Sunday morning. If anyone even tries to honestly exegete the Prophets, he would sound more like Bono than my friends whose message is simply not to use the F-word. Such is evangelicalism. If anyone has ever been to South Africa, they can see with their own eyes the effects of colonialism. It is not pretty. It has done irreparable damage to the gospel and the African family structure as well as tribal relationships. In the University of the Free State where I once visited and lectured, there was not one local black divinity student in the audience. It is not so much that they don’t have the heart to serve God. Lots of our African brothers and sisters love to serve the Lord. However, their educational setback will take years to catch up due to apartheid. It is not that many of my white European colleagues in the university do not care to train up black divinity students to be ordained in the Dutch Reformed Church, they simply have to (rightly) keep up academic standards. It is not the fault of my white colleagues, but the beautiful environment of those lecture halls is worlds apart from those who are in real need of the gospel. This focus on Bono’s F-word (or any other trivially distasteful acts) is more of an indicator of evangelical decay. For popular (especially Chinese) evangelicalism, the “evangel” is more about social respectability than social responsibility. It is more about “I’ve done enough (because I don’t use the F-word)” than about “what else can I do?” Oftentimes, Christianity is reduced to “don’t drink, don’t dance (don’t cuss) and don’t hang out with girls that do.” This popular form of religion sells the gospel way short till there is no more good news left, other than a bunch of petty do’s and don’ts. Moral legalism has often distracted the evangelical Church from her real responsibility to the world. Most evangelicals are more concerned that they do not use the F-word than about the condition of the world. While Bono continues to talk to international dignitaries, these irrelevant Christians talk ABOUT Bono (or Rick Warren or anyone else who’s trying to make an impact beyond our comfortable but dysfunctional little upper middle class first-world evangelical community). What this underwhelming evangelical (especially Chinese) Christianity needs is a swift and hard kick in the posterior, even if it takes Bono’s F-word to do it. If Christianity is reduced to cultural respectability, I think we should stop calling ourselves “Christian” (not that there’s anything wrong with that term, but that it has lost its true meaning of being a witness per Acts 11.26) and start being REAL Christ followers because Christianity has turned into a load of “BS (i.e. not bachelor of science).” Can I say that? What is the bottom line? I think it has to do with how every Christian cares about the way every other Christian thinks about him or her. I know this inside and out because I was rocked in the cradle of evangelicalism. We have created such an artificial culture of hypocrisy that only upper middle class respectability now defines popular evangelicalism. It is more superficial than substantial. It is more about face than about grace. It is more a civil religion than an authentic faith. The difference between the two is like night and day. Yet, many treat the inferior as the superior. This present pretence of morality is more about holier-than-thou-ness (i.e. self-righteousness) than holiness. Our focus on this appearance of morality is in fact disgustingly and remarkably immoral. It makes us look more like whitewashed tombstones than white robed saints. I suppose this is why I rarely care about what most evangelicals think about me or Bono. I suppose that as long as I don’t use the F-word, I would be fine. I conclude by asking with Bono’s lyrics in “Silver and Gold”, “Am I bugging you? Don’t mean to bug ya.” Keep on bugging, Bono! For a serious discussion on obscene speech, see Jeremy Hultin, Ethics of Obscene Speech in Early Christianity and Its Environment (Leiden: Brill, 2008). It’s 911 today. I’m sure most of us recall that dreadful day what we were doing when we heard the announcement. I was on my way to the gym to hit some early morning heavy iron before starting with my workday. Today, I want to look at the race issue via this short video someone loaded at Upworthy. I would suggest that you take a look at the video because it’s a clever setup to talk about issues on Muslims in America, white Americans and the terrorist problem. There’re many memorable characters in this video saying some very important things. Two particular characters in the video struck me because they hold opposite views. I’m sure they will also make an impression on you. The first character is the man with two earrings. He agreed with the seemingly racist actor about the terrorist threat and the difficulty to identity them among the Muslim population. I know this is a big concern in many parts of the world. I think most of us will stay on the knee-jerk level by calling this man a racist. I’m going to be gracious and not jump down his throat so quickly. Instead of playing the minority race card, I want to suggest something that we need to think about: fear. The man’s seemingly racist (though he didn’t seem very angry about the Muslim man at all) disposition seems to be his expression of fear. He was afraid of our government’s (or our own) inability to identify terrorists in our midst. The problem then extends beyond his prejudice to our government. Fear can sometimes come in the form of racism, but it doesn’t have to. Perhaps, deep down, this man is not racist and that he has lots of friends of different races. He was just afraid and probably quite ignorant about races associated with Islam. Is there a solution to his fear? Obviously, sensitivity training will not do. We have more sensitivity training now than before 911 but hate crimes still exist. Stronger security at the airport also will not do because they screen at random (even frisking old ladies and toddlers). The mindless but “stronger” security actually increases fear. If the man’s fear arises out of ignorance, perhaps, a stronger educational system would help us all. Our educational system centers on “us” in how “we” become who we are, rather than looking at how we fit into the greater history of humanity. This does not help. We’re a country where world history cannot be learned until high school, and we don’t learn it well at all. Another solution perhaps is for the government to get less involved in risky business of war where it is none of our business. Our meddling in other people’s business only brings more reasons for fear because we stir the hornet’s nests of terrorists. Our foreign policy has not helped allay our fears. I pray that our legislators who are getting ready to vote on Syria would honor the victims of 911 by voting no on war. Problems in Middle East needs to be solved by governing bodies of that region. The second person who struck me was the hero of the video: the American soldier. This soldier denounced the bullying behavior of the racist actor (without knowing that the event was staged). The racist actor, who was quite different from the guy with two earrings, was actively racist. He was not just fearful and ignorant, he was bullying the Muslim storekeeper. The soldier basically said that the reason why he defended the Muslim storekeeper was because he was defending the liberty of such a person living in our country. He was doing his job. Many of us find him heroic. As a racial minority, I find him endearing. If we have such heroes to stand up against bullying, there’d be less racist incidents against minorities. The soldier however also reveals a problem of our country. We have a lot of liberty which allows people of different convictions to practice whatever they wish, including holding ideologies quite different from what US stands for. While solving the bullying problem immediately, the endearing soldier has not resolved the problem of outsiders coming in to abuse American liberty. When we have liberty, we have risks. We can’t have liberty without risk. Liberty and risk will always stand in tension in our great country. A multiethnic and multicultural society comes from liberty. Such a society also risks people taking advantage of the system. 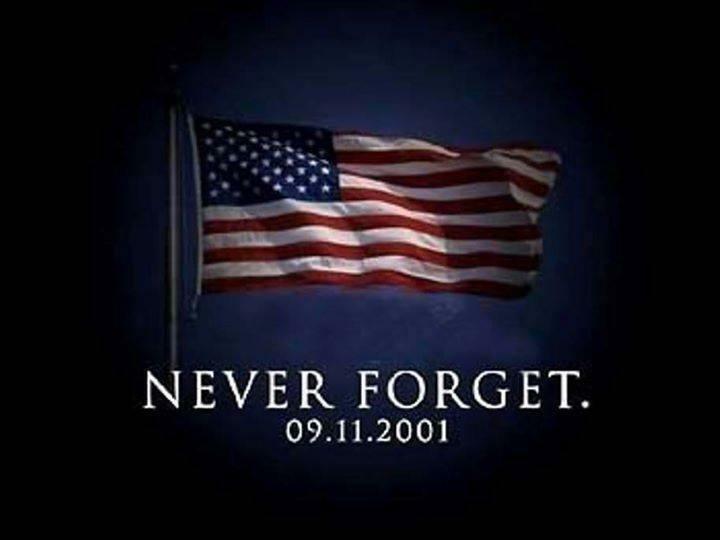 911 reminds us that there’re still lots of unanswered questions we need to address. As Christians, how would we look at the above issues? Christians are members of the civil society. They have to follow societal laws and so on. At the same time, Christians can do things that’ll make the society better. In the case of conflicts with Muslims, how about reaching out to understand them more, not just as potential converts (and we all know it’s very difficult to convert Muslims) but as potential friends? A lot of the world have this perception that Christianity is a white religion in America. That’s because it is! Sure, there’re white Muslims too but most of the Muslims in this country are not white. The first bridge builders (and not fear mongers) should be Christians. Perhaps, that’s the best way to honor the fallen in 911. I’m now blogging about chapter eleven of my book. I’ve skipped a few chapters because they’ve either been dealt with in other posts or are too involved to blog about. The story of the rich man and Lazarus is one favorite story about which people make a mountain out of a molehill. This story seems to deal with the eternal state of the poor man Lazarus. Many think that it is obvious for the dead to be able to see from their blissful eternal the suffering of those in hell. Much more has been made of this story than needed. In fact, if such a logic applies, we can well say that Abraham is one of the largest human beings every lived because his bosom alone could provide a place for Lazarus to cuddle like a baby. Three issues will give us clue as to how this story should be interpreted. First, the story is an answer to the Pharisees who loved money in Luke 16.14. Second, the story is fictitious. In other words, Jesus could make this story up at random without having any semblance to reality. Jesus never explicitly claimed that this is how eternity looks like. Third, many focus on the salvation of Lazarus but this is surely a mistake based on Jesus’ storytelling art. Jesus never allowed Lazarus a voice in the story. Lazarus is the foil for Abraham to carry on this lengthy conversation with the rich man. Thus, Lazarus’ salvation has never been an issue for Jesus, in the way the story was told.